Terrence Malick often seems to be the last apostle of rugged individualism still at work in the American film industry. He painstakingly crafts films that are symphonic in structure with the character of poetic, intensely personal statements on humanity’s inescapable fall from grace. The long-awaited The Tree Of Life confirms a drift towards cinema that dispenses with conventional narrative traditions to focus on impressionistic, dreamlike abstraction. The result is a sprawling, sometimes unfathomable epic on the endless conflict between ‘the way of nature and the way of grace’. There are three distinct elements within The Tree Of Life. The heart of the story and the most immediately accessible element is a lyrical portrait of a typical, all-American film in the Eden of 1950s suburbia. 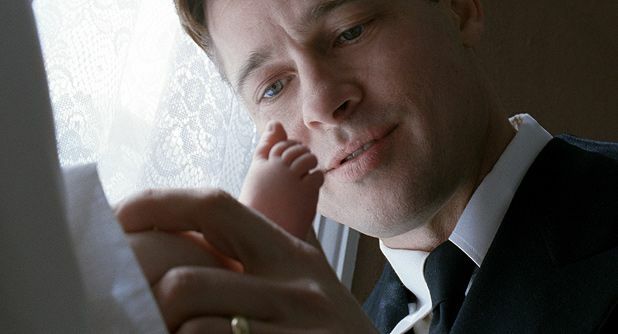 Three boys live under the thumb of a well-meaning but tyrannical disciplinarian father (Brad Pitt) and a radiant, loving mother (Jessica Chastain) – nature and grace in human form. The specifics of that family dynamic are contrasted with a history of life on Earth (including CGI dinosaurs) that evokes comparisons with 2001: A Space Odyssey, Disney’s Fantasia and a typical David Attenborough documentary. Finally, the film ventures into the territory of Bergman and Antonioni with melancholy contemporary scenes in which architect Jack (Sean Penn), a grown son from the 1950s family, seeks a sense of meaning to the circle of his life. Soaring choral, classical music (Holst, Brahms, Mahler etc), gliding, restless camerawork, the frequent absence of dialogue and a constant sense of yearning for a state of grace gives The Tree Of Life the feeling of a heartfelt sermon urging a re-engagement with spirituality and a greater sense of wonder at the world around us. It may be frustratingly elliptical but ultimately there is clarity in the simple, even banal final observation that ‘the only way to be happy is to love’. Amen to that. General release from Fri 8 Jul. The lives of a 1950s family are contrasted with a history of life on earth (including CGI dinosaurs). Soaring music, gliding camerawork, the frequent absence of dialogue and a constant sense of yearning gives The Tree Of Life the feeling of a heartfelt sermon urging a re-engagement with spirituality.